From the Gustav ceramic table lamp collection. 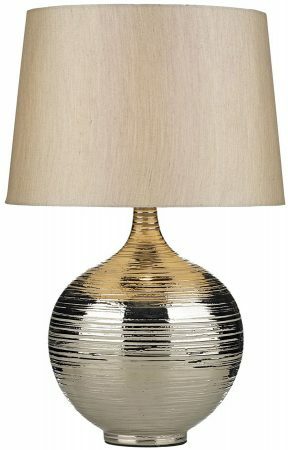 Wonderful traditional shaped ceramic metallic silver large table lamp with ribbed design, complete with silver faux silk lamp shade. Fitted with an in-line rocker switch and double insulated. Other products in the Gustav range can be viewed below and include a smaller version of this elegant table lamp.